Hey hey fill ya glass up with milk! Jon and Dan Kelly ramble on for quite a while in the studio this week. Once you slog through the bog of our chatter (including a meta-moment where we find out just how insufferable we are) you may hear us chat about some retro games. We delve into an new old version of some old old classics, check out an acceptable NES adventure port, and jump around with a buggy Persian. Lock your doors! 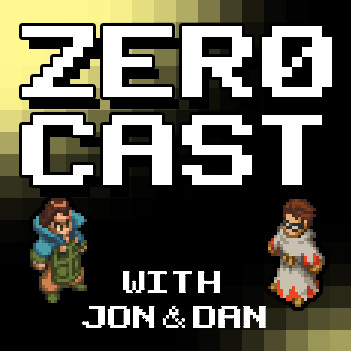 Check out the Official Zer0cast GameGet!